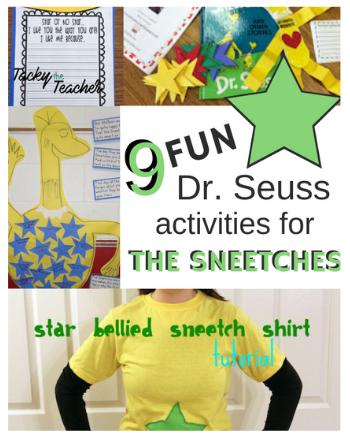 Be sure to check out my Tacky the Teacher store for more engaging activities! I mentioned in my last post about Dr. Seuss that I like to switch things up from year to year. It helps to keep my passion for teaching alive and not feel like I’m bored because I’m always teaching the same thing year after year. 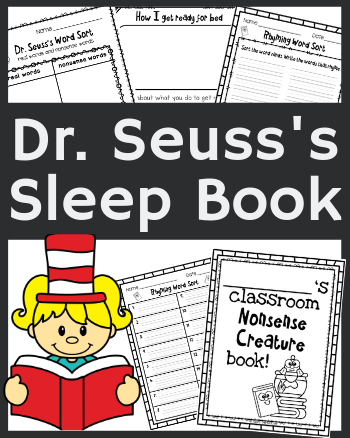 One of my favorite stories I read by him this month was Dr. Seuss’s Sleep Book. In this story, a small bug named Van Vleck gets sleepy. When he lets out a big yawn, he makes everyone else around him fall asleep. In epic Dr. Seuss fashion, these silly characters fall asleep in some strange and interesting places. With silly rhymes and repetition, this funny story is the perfect addition to any Dr. Seuss author study! 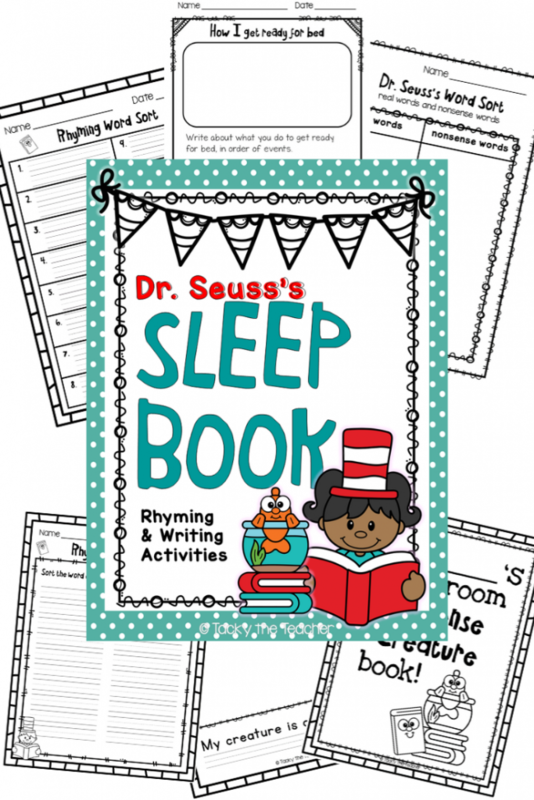 Below are 9 silly activities to do after reading Dr. Seuss’s Sleep Book. 1. Where Do People Sleep? Can anyone explain what sleep is? When do you go to bed at night? Where do you go to sleep? What are some things you dream about? It’s always interesting to hear how little ones answer questions, and these are no exception! Read the book and then discuss the next activity. Create a list of the places where the characters in the book were sleeping. You can extend the activity to include a list of where people sleep and where other animals sleep. 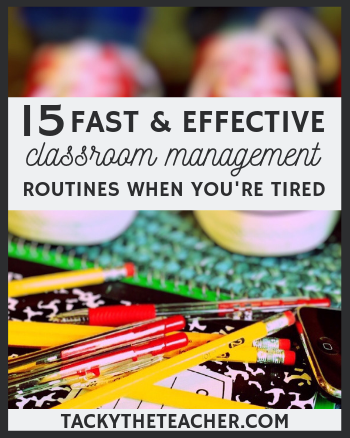 Have your students write about what they do to get ready for bed. Ask them to write about it in order of events, including a topic sentence and at least 3 details. To go along with their How I get ready to for bed writing piece, you can take a picture of them yawning with Dr. Seuss’s Sleep book. This makes a great effect for a bulletin board display. Another option is to take pictures of them reading in different places around the classroom. Or, even better, ask your families to take pictures of them reading in strange places at home. I’ve had parents take pictures of their child reading a book in a snow bank (yes, we still had snow in March! ), upside down, and in a bathtub! 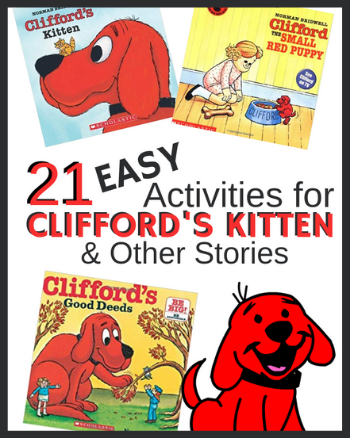 The possibilities are endless, and such a fun idea to encourage reading at home! For this activity, you can have your students search through the book to find real words and nonsense words. They can write them down in a t-chart, sorting the words as they find them in the book. You could also read each page of the story and record the words as you read, asking students to listen for different words. 6. 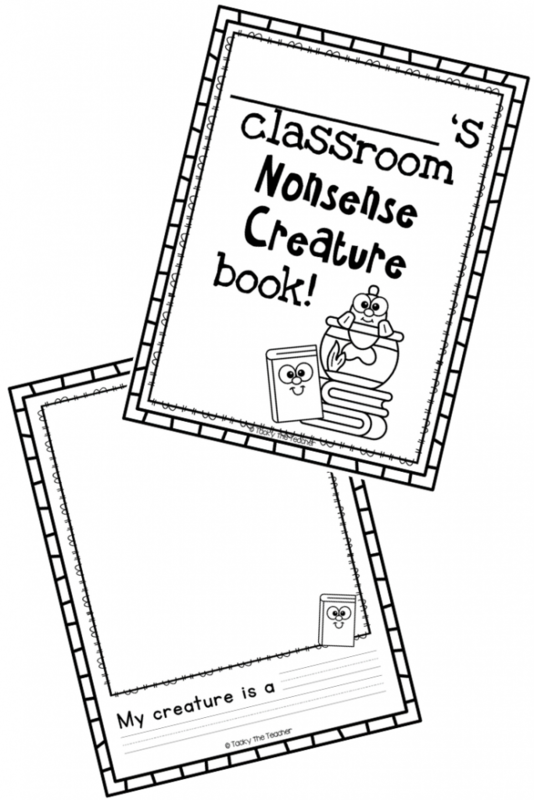 Make a Seuss Sleep Book with Nonsense Creatures! I got this idea from education.com and thought it would make a great class book! Students take two animals of their choice and turn them into one silly nonsense creature similar to the ones in the Dr. Seuss books. For my example, my two favorite animals are an elephant and a tiger. So, I write My creature is a elephant tiger. Then, I draw an elephant that is orange with black stripes. Students love the opportunity to get creative and to be able to make things they come up with on their own, so they love this activity! After all of your students are finished, laminate the pages and put them together in a class book that they can read again and again. 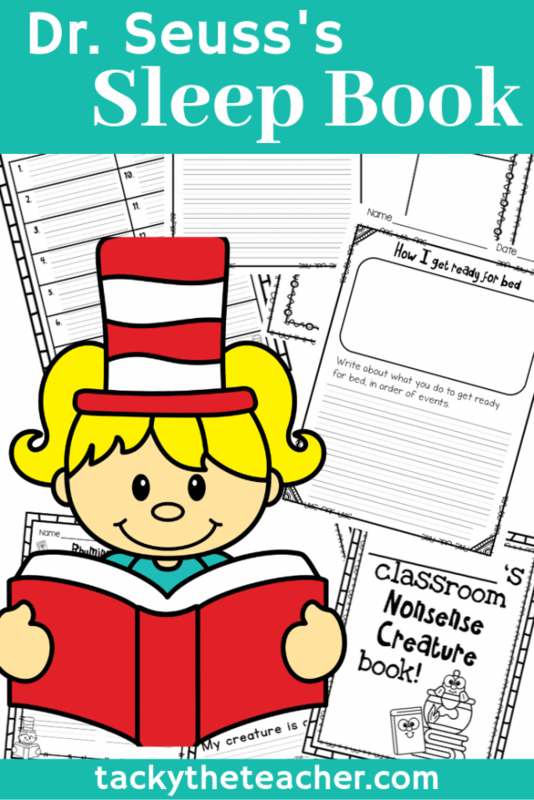 Students can read through the book to find rhyming words and record them on the worksheet. 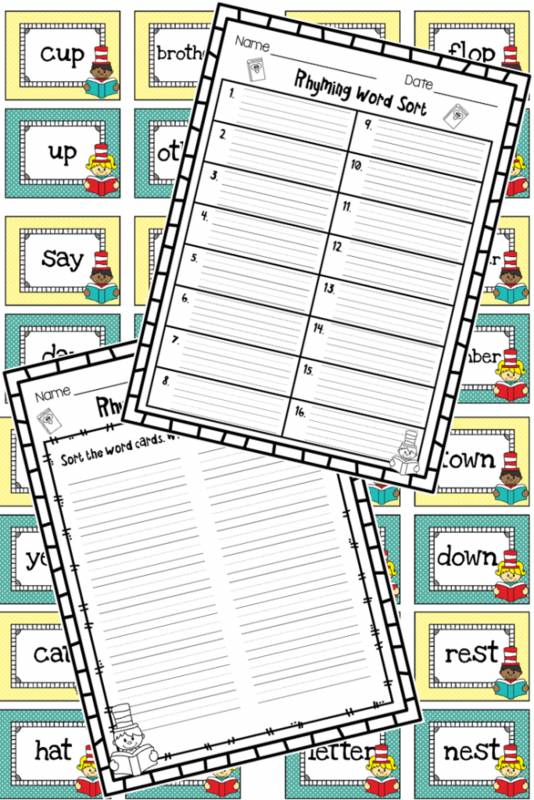 Or you can print the rhyming word cards and have them sort them. They match one yellow word card to one teal word card that rhymes with that word to make a pair. 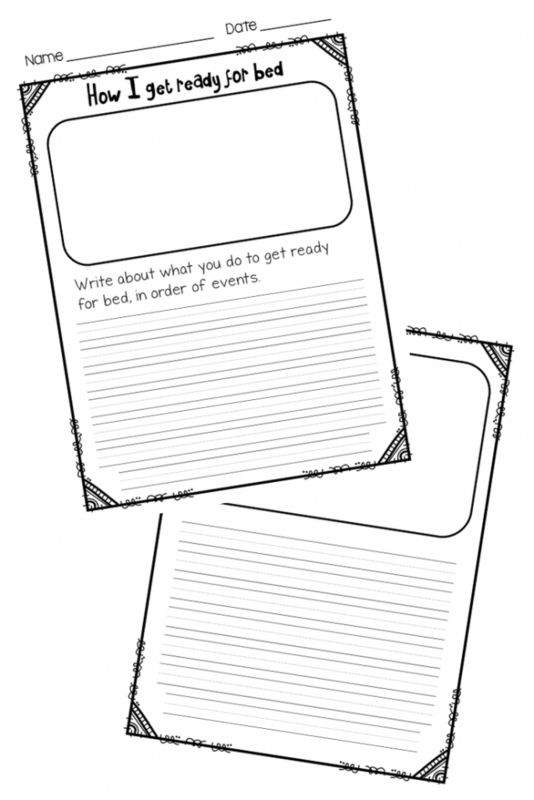 There are two recording worksheets to choose from with 32 word cards and 16 pairs. Encourage students to wear their pajamas and bring a pillow, blanket, or stuffed animal to school. I limit them to 2 things or some students will bring their entire room with them (haha)! I’m joking…sort of! And if you’re short on space in your classroom, this day is the perfect day to move some desks or tables out of the way and spend a day working while lying on the floor. They can lie down on a blanket, a carpet, or rug. Little ones don’t really care. If moving furniture is not an option, then you can give them the choice to work anywhere in the classroom for the day as long as they work quietly. If they are unable to work quietly, I have them go back to working at their desk. I’ve also done this with Beach Day activities as well where they lay down on beach towels they bring from home. They just LOVE the idea that they don’t have to work at their desks all day long! I take all of their work for the day and make it into a packet so they have everything they need in one place. 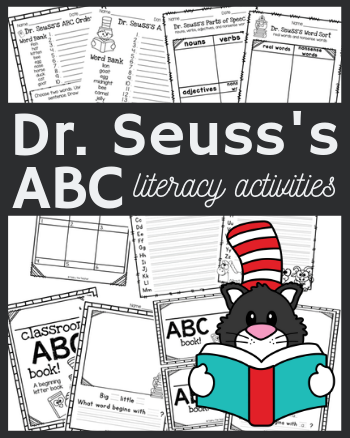 If you’re interested in reading other Dr. Seuss books this month, you can also read my 7+ Engaging Dr. Seuss’s ABC Book Activities. Mrs. Copeland is an experience elementary teacher in early childhood and has been teaching for 9 years. 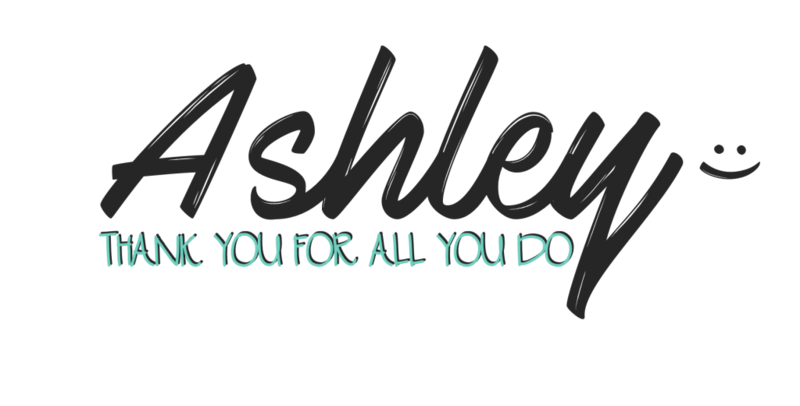 Read Ashley’s inspiring story, “From a Chaotic Classroom to Tidy Teacher.” Feel free to send Ashley a message here. 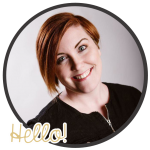 Get on the list to receive access to my library of teaching resources, future inspiration, math and literacy activities, and future freebies! Tacky the Teacher is a participant in the Amazon Services LLC Associates Program, an affiliate advertising program designed to provide a means for sites to earn advertising fees by advertising and linking to amazon.com. Amazon, the Amazon logo, AmazonSupply, and the AmazonSupply logo are trademarks of Amazon.com, Inc. or its affiliates.